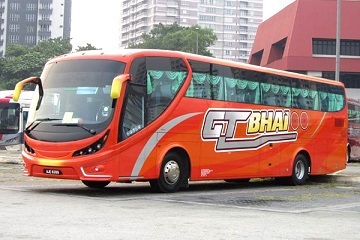 GT Express (also known as GT Bhai) is considered as young player in the express bus industry. It has a counter located at Cameron Highlands. 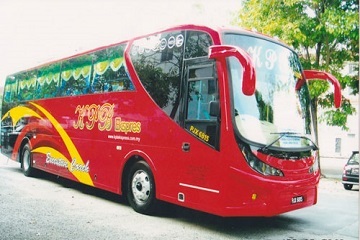 GT Express specializes in bus route from Kuala Lumpur to Cameron Highlands. It also provides the return bus route from Cameron Highlands to Kuala Lumpur. GT Express offers about 5 bus routes departing from Terminal Bersepadu Selatan to Cameron Highlands every day. The bus ticket is RM 35 per person. 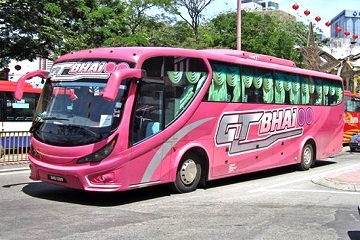 In addition, GT Express also provides 5 bus routes per day for those who want to depart from Cameron Highlands to Terminal Bersepadu Selatan Kuala Lumpur. The bus ticket costs RM 35 per person. GT Express bus fleet comprises of 31 seater’s single deck super VIP buses that are equipped with air-conditioning and luggage compartment. The seating arrangement is 2 + 1 seating style so passenger can have sufficient leg room and comfortable seat during their journey. Besides, GT Express also takes pride in the quality of services that they provide. The staffs are well trained and professional for the safety of the passengers. A RM 2 discount is now given out to fans of Easybook. Buy GT Express bus Ticket now from Easybook and travel from Terminal Bersepadu Selatan to Cameron Highlands or a return trip to grab this great offer. 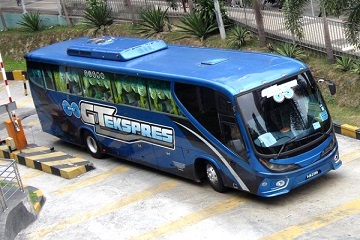 Book GT Express bus ticket now at Easybook.com!